“That was the first time I knew something was wrong with my back” admits Dr. John Zeni. Dr. Zeni began his pre-chiropractic education at Lakehead University, where he focused his studies on human biology, exercise physiology and anatomy. He graduated with a bachelors degree in biology and after completing his study there, Dr. Zeni was accepted at Northwestern Health Sciences University in Minneapolis, Minnesota. During his four years at Northwestern Dr, Zeni spent many hours studying biochemistry, anatomy, human physiology, X-ray procedure, clinical diagnosis, chiropractic adjusting techniques and patient care in the Northwestern Public Clinic. 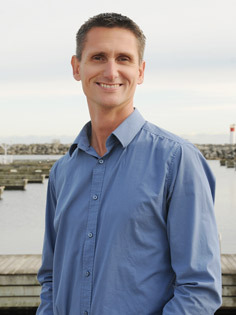 After graduating in 2003 Dr. Zeni returned to Canada to establish his practice. I am married to a wonderful, caring and supportive wife, Mandi, and have 2 amazing girls Brooklyn and Peyton.